Being a part of the world-wide-web is a privilege in this day and age. If you are joining the modern world where everyone seems to have access to a computer and the internet, then the next step would be to ensure that you know how to use both to your advantage. The internet is a great place to gather information, share information and connect with others. One of the greatest tools presented by the internet to the world is that of the search engine, where the answer to absolutely anything and everything can be found. Step 1: Open your web browser by clicking on the icon. You may have Internet Explorer, Firefox or even Chrome installed on your computer. 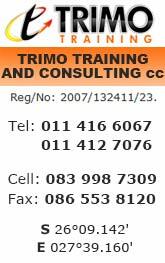 All of these are great to use for finding any information that you might require. Look for the icon for your web browser and double click on it. Below is what the icons look like. Step 3: Now you are ready to start your actual search. In the search box, type in the topic or item you are looking for. Try to keep your search keywords concise and as specific as possible. 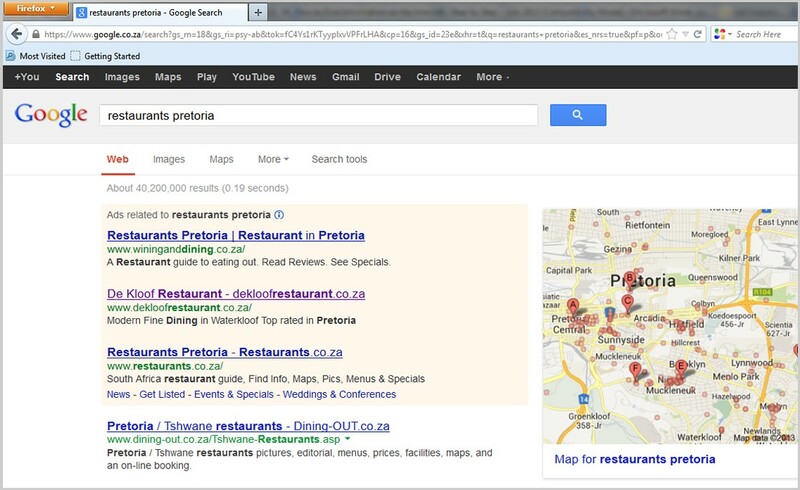 For example, if you are looking for places to eat located in Pretoria, then your best search term would be “restaurants Pretoria”. Concise search terms mean better and more accurate results for you. 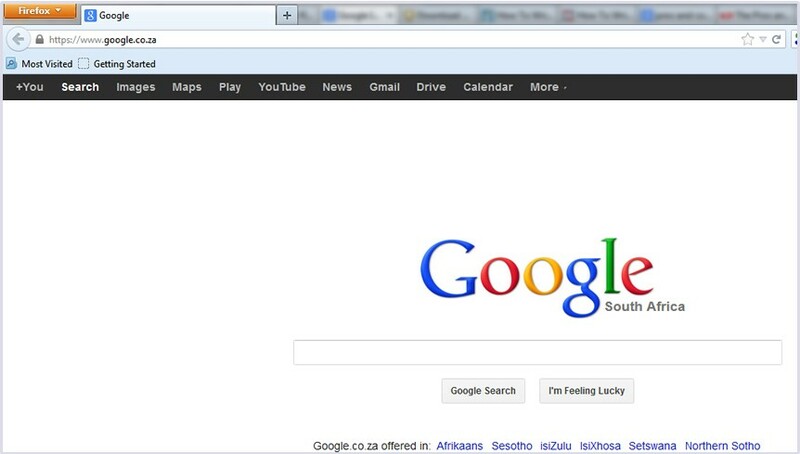 Once you have typed in your search term, click the “Google search” button. 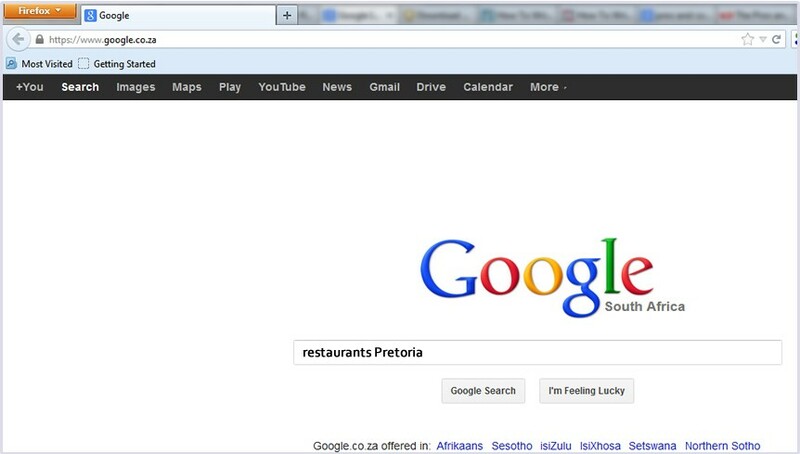 Step 5: Choose the result that you feel is best suited to your search and click on it. This will take you to the website where the information is hosted. Now you can browse around on that site to your heart’s content. If you feel that you need to continue your search or search for something new, simply click the “home” button on the top right hand corner of your screen which should take you back to the search page OR click the “back” button on the left hand side of your screen until you get back to the search page. These are just a few basic steps to finding the information that you might need on the internet. Making use of search engines such as Google, MSN, Yahoo and similar is a great starting point as these sites manage content and ensure that the results they display are relevant, accurate and able to assist you.